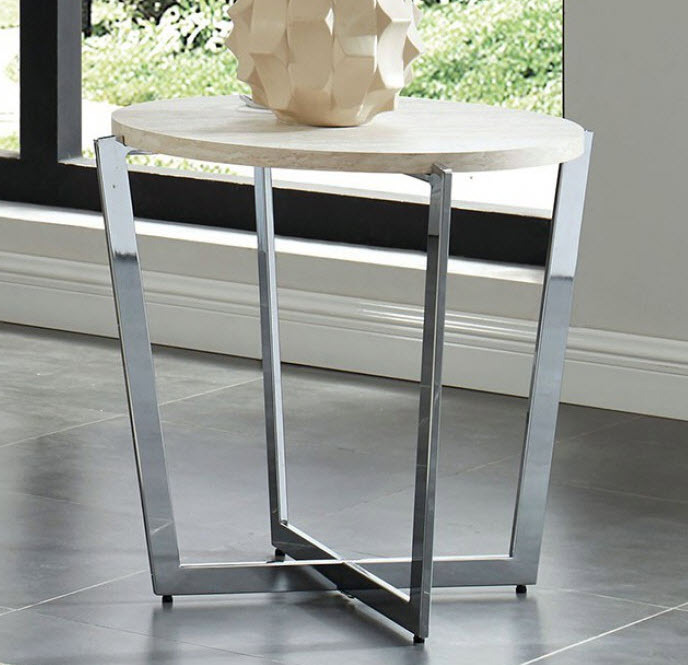 Wood grain details on the white table tops create a contemporary feel in contrast with the chrome legs and base. 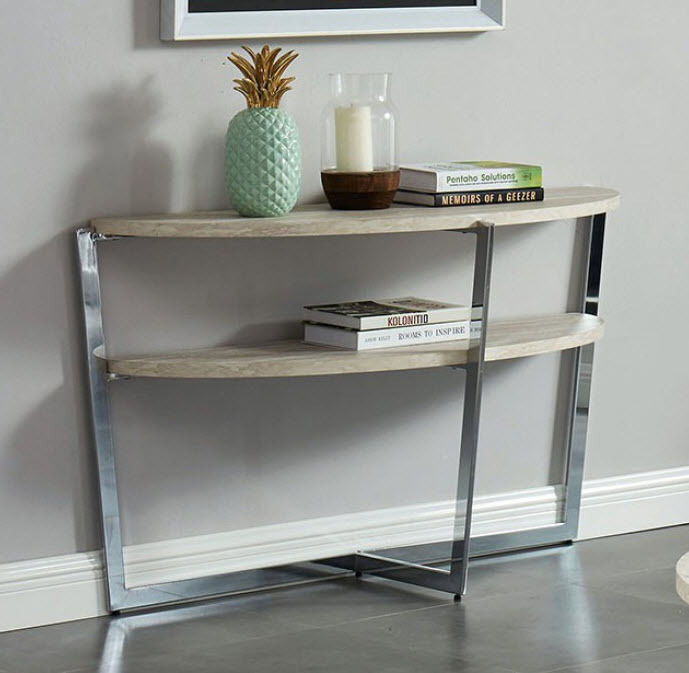 The metal frame construction is not only stylish but also sturdy. 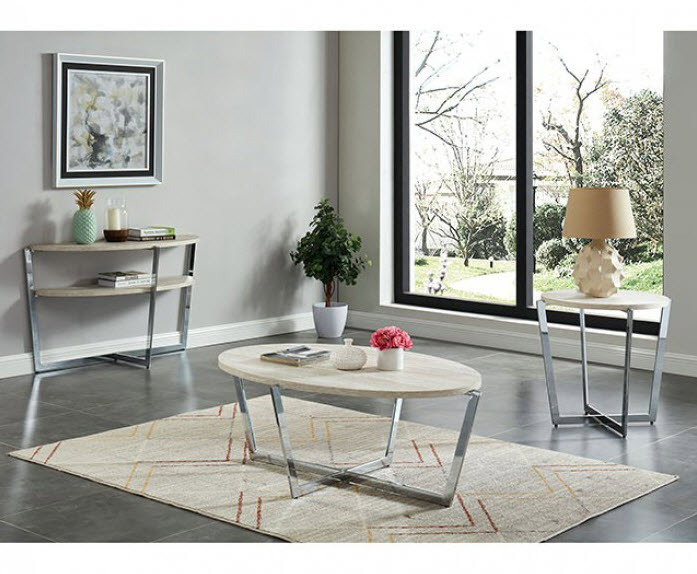 Please note that the base price only includes (1) Coffee Table. Please add items to customize this set to your liking.